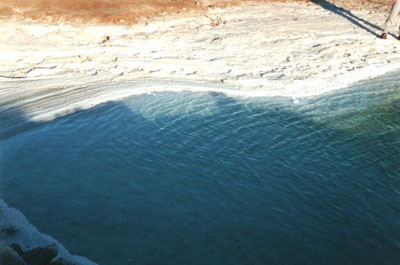 This dry land may look lifeless, but you will encounter complex of living systems. 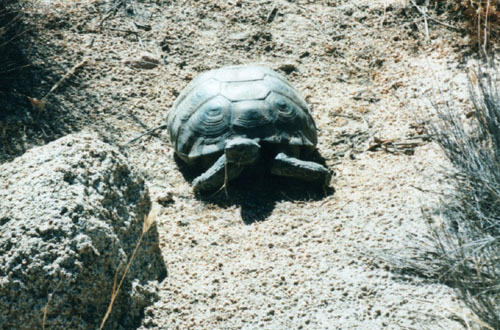 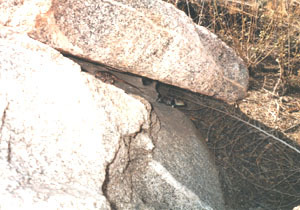 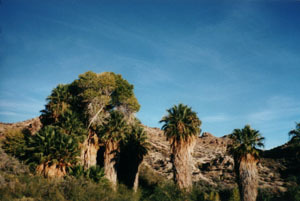 Joshua Tree National Park includes two deserts whose characters are determined primarily by elevation. 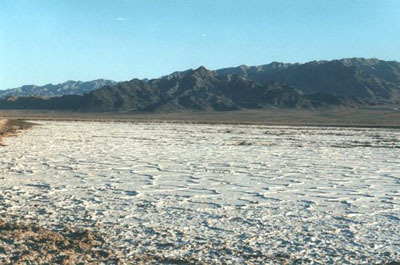 Eastern part is occupied by arid Colorado Desert and its elecation is below 3,000 feet. 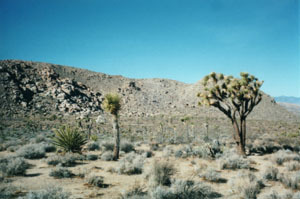 This dry land is covered by Cholla cacti and Ocotillo on top of the abundant creosote bush. 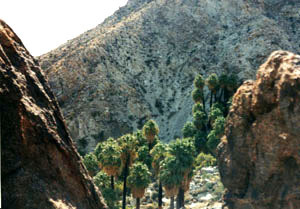 Western part is higher and moister Mojave Desert and the special habitat of strange-looking Joshua Tree.